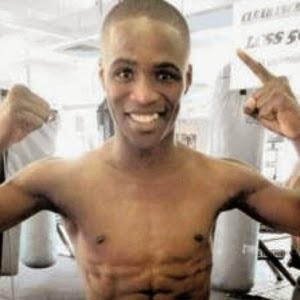 Roli Gasca of ALA Promotions failed to get the IBO world International Boxing Organization World featherweight belt against the South African boxer Lusanda Komanisi last December 15, 2014 at Orient Theatre, East London, Eastern Cape, South Africa. The KO puncher Komanisi dominates in their fight and successfully defended his title for the 2nd time. Komanisi won the fight via Split Decision. One Judge scores 116-112 for Gasca and the two Judges scores 115-113 and 116-112 for Komanisi. Komanisi improved his record with 18wins and 3 losses while the Filipinio challenger Roli Gasca of Cebu dropped with 22 wins including 6 losses.